Online Florist in Dunedin. We deliver fresh flowers locally or NZ wide! Happy Birthday Flowers, Sympathy Flowers, Funeral Wreaths, Get Well Soon Flowers, New Baby Flowers, Gift Ideas, Gift Baskets, Orchid Plants, Helium Balloons, Care Packages, Plant Gifts! Let our Team of Dunedin Florists create your own personalized gift of love. 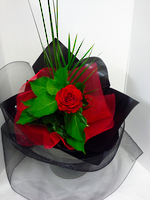 We are the most centrally located Florist in Dunedin City, located one block from the Hospital and Otago University. Located in Dunedin's busiest Mall in Central George Street. Delivering within Dunedin City and Mosgiel Daily, We also deliver throughout Central Otago, Ranfurly and Palmerston. Call past for some beautiful House Lillies for the weekend at a great price. Our flowers are all treated with love and care when they arrive in store. This is why they last longer. See you soon. 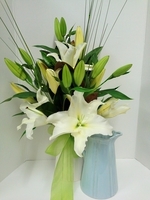 Come into our Dunedin Florist shop to buy your flower arrangement or order flowers online now. Flower delivery available New Zealand wide. We also deliver Internationally with Interflora. If you can’t make up your mind what to buy someone, give us a call and we’ll decide for you. Stop worrying what to buy – dump your worries on us! Not only flowers, our personalised gift shopping service is the answer to all your gift-buying dilemmas. We are happy to purchase gifts on your behalf - perfumes, books, clothing vouchers, chocolates, towels. Whatever the occasion calls for, we will endeavour to create the perfect gift for you. We have access to over 45 stores within the Meridian Shopping Centre to find you the solution that you are looking for. We will then package your gift and arrange for delivery. We have an expert shopper at your assistance 7 days a week. Remember finding the perfect gift can take time and if possible we appreciate 48 hours notice to gather, liaise back with you, then create and deliver. Let us organise the perfect gift for you, so you can sit back, relax and enjoy the thank you. We can deliver beautiful flower arrangements and gift baskets anywhere in Dunedin, Otago and throughout New Zealand. Beautiful roses available for delivery throughout Otago & NZ. 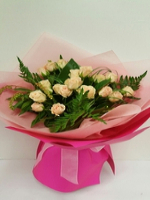 Contact Marguerita Florist to have Mothers Day Flowers, Birthday Flowers or Funeral Flowers delivered in Otago or New Zealand. Delivering locally, nationally and internationally, on time every time. We will endeavor to provide the closest representation to our products advertised but due to the seasonal nature of our business we may have to substitute some of the fresh flower content.